Niantic Labs has released Pokemon Go version 1.11.4 for iOS, and version 0.41.4 for Android, bringing a number of minor improvements and fixes to the extremely popular augmented reality-based game. One of the things about Pokémon Go, and one of the things that has probably kept millions of users coming back for more, apart from the fact that you get thrust into an augmented world filled with Pokémon, is the fact that Niantic has always shown dedication to not only ensuring that the platform is stable and works as flawlessly as possible, but that new features are added in a timely fashion to keep the game exciting and ever-changing. That’s the real secret to longevity in the mobile gaming space. It appears that last update was causing the app to crash randomly for quite a few Android and iOS users alike, but that ‘minor fix’ seems to be on point with Niantic announcing that the problem has now been solved with the release of version 1.11.4 for iOS and 0.41.4 for Android. Perhaps there’s more to the update then meets the eye in terms of under-the-hood changes with the update being part of the bigger picture, and will ultimately ensure that the platform is as fluid and functional as possible as more and more gamers descend into the virtual world in pursuit of rare and uncommon Pokémon. 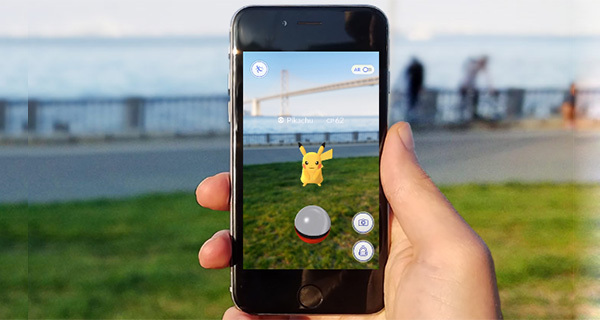 One of the things to remember is that not only does Niantic continually brings new features to the platform, such as the Pokémon Appraisal and Catch Bonus features, or the ability to have a Buddy Pokémon walking alongside to earn extra Pokémon Candy, it also appears that the software house is hugely committed to release periodical updates that introduce fixes, minor graphical amendments, and performance improvements that should hopefully make Pokémon Go an extremely polished platform that breeds engagement from users and gamers. As always, make sure you keep following us for updates on the Pokémon Go franchise, as we regularly bring news about enhancements and upcoming features. We’ll also be sure to cover the new Apple Watch Pokémon Go experience when it finally rolls out to those with Apple’s intelligent timepiece. You can download the latest version of Pokémon Go for iOS and Android from the App Store and Google Play Store respectively. Where is the download link. If you say above it is dead already.